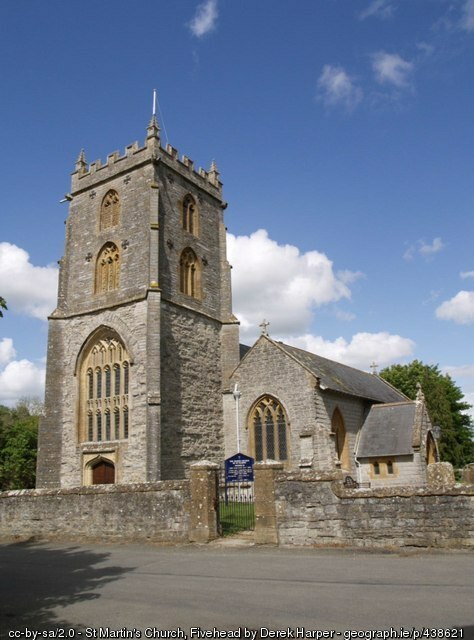 The parish of Fivehead (and Swell), situated 9 miles from Taunton and 20 miles from Yeovil, in the heart of Somerset, lies on a ridge of land which stretches from Langport to the Blackdown Hills. The ridge overlooks Sedgemoor, part of the Somerset Levels, to the north and the Vale of Isles, to the south. Our OS reference is ST352225. Today there are over 600 residents occupying some 270 dwellings. In the past the village was largely dependent on agriculture, but modernisation and changes in farming methods has led to many farms being sold off. Although residents now commute to school or work, community spirit remains high on everyone’s list of priorities. Organised social functions and youth activities are important aspects of rural life with our three churches, the Village Hall, and The Crown Inn all playing their part in making Fivehead what it is, a traditional village where people relax away from the stresses and strains of modern living. The name ‘Fivehead‘ is a corruption of ‘Five Hydes’, a hyde being 120 acres of land. Registered for the first time in the Doomsday Chronicles of 1806, this land was drained and cultivate by succeeding generations. Fivehead developed very slowly from as far back as pre-Saxon times. The very earliest settlement in Fivehead was a cluster of wattle and daub dwellings with cruck beams and thatched roofs. The serfs and villeins who occupied them were entirely self-supporting and had little connection with the outside world. The nearby moors were not drained and fenced until after the 1820 Enclosure Acts so access to the village was difficult for many centuries. The only roads were cattle tracks which led north to Sedgemoor for the summer grazing and south for access to the river Fivehead. Eventually a turnpike road was cut from Langport and later extended to Taunton. Not until the road was tarmaced did travelling became easy and development speeded up. 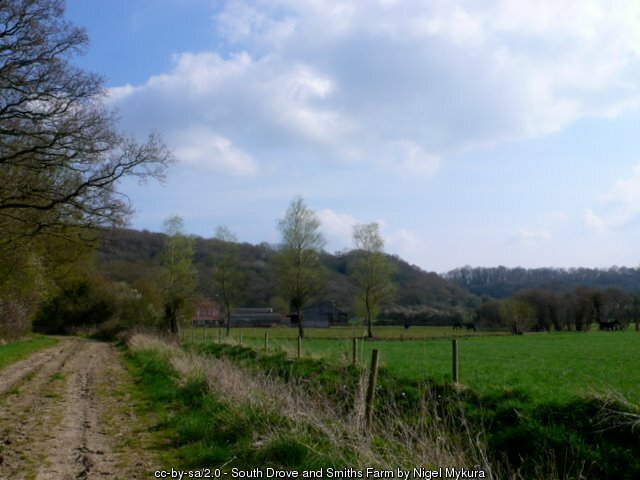 The old coaching drove (known as South Drove) runs along the northern parish boundary, where an occasional apple, pear or plum tree marks the site of domestic settlements, long since gone. There are a few farms along this drove whose adzed ceiling joists and cruck beams are clear evidence of their ancient origin, for cruck beams were discontinued in the 14th century. This drove leads to Langport, past the heronry at Swell and the RSPB bird-sanctuary in Fivehead Woods. The Norman Church of St. Martin’s stands next to the War Memorial on the village green and contains many old tombs and stained glass windows. It was one of the few churches in Somerset that could not afford a bible. After the Restoration a bible was compulsory in every church in the land. It cost ten shillings and was often chained to the lectern to prevent theft. 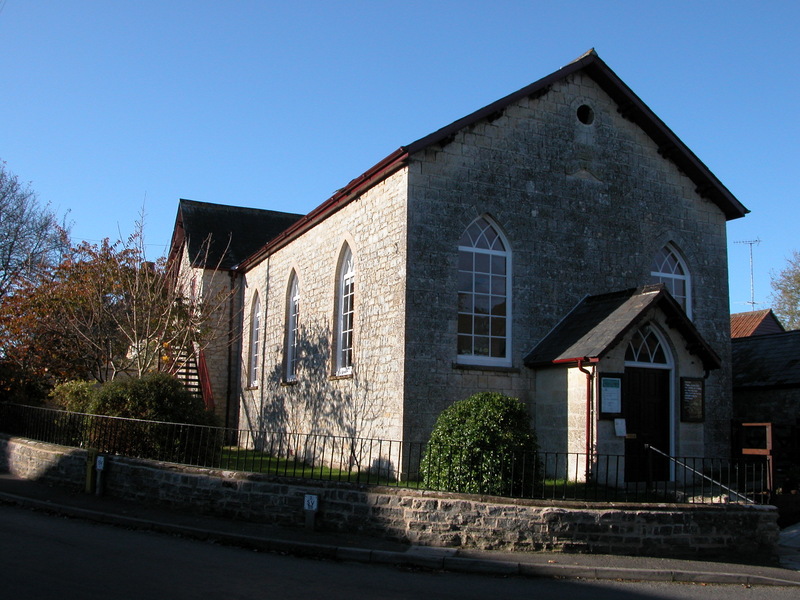 The Baptist Chapel resulted from the dedication of a farmer, one Joshua Corpe, who in his youth was forced to outwit his parents after they had hidden his clothes to prevent him attending his baptismal service at North Curry. In due course his son gave the plot of land where the building stands today. Today the chapel has a vibrant congregation and a thriving coffee shop, ‘The Stable’. On the east of the parish, stands Pre-Elizabethan manor house, Langford. Today it is an up-market Bed and Breakfast but was a private dwelling until the early part of this century. Adjoining Langford is the small parish of Swell. Swell Court, built about 1450, stands on the site of a much older house, next to the tiny church of St. Catherine’s which dates back to 1150. Between the two manors is St. Catherine’s Well, a spring where Canterbury pilgrims used to stop and drink. * Much of the above information was taken from ‘Beyond the Map of Fivehead and Swell‘ published in 1999 by the Fivehead Parish Map Committee and from a paper written by Mrs. Weller, of Higher Listock Farm, Fivehead. The webmaster is grateful to both the committee and Mary Simmons, on behalf of the late Mrs. Weller, for their permission to publish the above extracts.